Well, well, well. What a difference a year makes. Cast your mind back to August 2017 or even before Fitbit's first smartwatch was officially unveiled. The talk of the town was that the fitness tracker market was in massive decline and for a company that has made a living through building fitness trackers, thats not the kind of thing you need to be hearing. Then came the Ionic. An awkward, angular looking riposte to the Apple Watch, Google's Wear OS clan, Samsung's bezel-tastic Gear watches and Garmin's improving sporty smartwatches. The Fitbit Blaze-style device certainly didn't set the world alight and even Fitbit revealed there was higher demand for the Charge 2 and Blaze over the Ionic in its fourth quarter earnings back in February. In that very same earnings call it promised to bring us a "mass appeal" smartwatch that would land later this year. But we only had to wait a matter of months for that mass appeal smartwatch to turn up and for Fitbit's fortunes to change. After launching in mid-April, over a million Versas had been shipped by Fitbit with CEO James Park suggesting it had the best first-week sell-through of any wearable in the history of the company. Fast forward to Fitbit's Q2 earnings calls and it appears the decision to go full throttle with smartwatches has been vindicated. 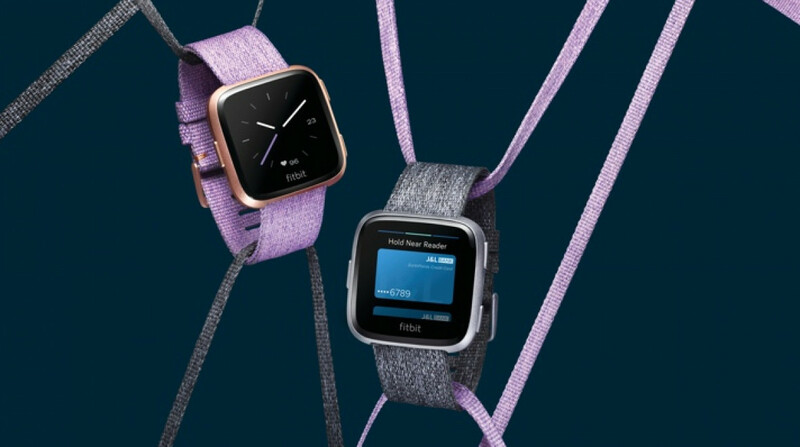 55% of Fitbit's revenue now comes from smartwatches and according to Park, the Versa outsold Samsung, Garmin and Fossil smartwatches in North America combined. Park tweeted that he expects the company to return to profitability in the second half of 2018. So what's happened? Why are there all of a sudden reasons to be cheerful? Well, here's my take on it. It actually made a very good smartwatch. It's not perfect (how many smartwatches are right now? ), but it got more things right than wrong and like its fitness trackers do best, the Versa doesn't feel like an overwhelming piece of tech to get to grips with. Could you say that about all of its competitors? I'm not so sure you really can. Then there's the matter of price. The Ionic just seemed too expensive. The Versa price point though felt just about right. It was never going to be bargain basement, but it wasn't in the Apple Watch realms either and it made a far more compelling case than the Ionic to spend $200 as opposed to almost $300 on a Fitbit smartwatch. The arrival of the Versa has also coincided with Fitbit's bigger push on the developer front as well, one that's proving to be about a lot more than apps. I see more talk about watch faces than anything else from users and devs and it feels like that Pebble acquisition is starting to bear fruit enticing developers to build software to boost Fitbit's smartwatch platform. Fitbit's own software upgrades have been welcome too and it's clear that the introduction of its female health tracking features was a smart move too. I don't think we should entirely write off the Ionic altogether in having some impact on this Fitbit smartwatch surge. It feels like it's been a bit of a slow burner for Fitbit, a bit like the Blaze was. I'm certainly seeing more of them out in public, no doubt due to some price cutting from Fitbit and others. Rolling out software updates across the watches at roughly the same time has helped breathe new life into Fitbit's first smartwatch. I'm happy for Fitbit and its change in fortunes can only be a good thing for smartwatches as a whole. But Fitbit wasn't the only company to have good things to say about smartwatches in the first half of 2018. The Apple Watch is starting to sell in the bucketloads and Garmin has smartwatches to thank for propping up its latest earnings too. The key for Fitbit now is to build on this momentum. While it might have owned things in the first half of the year, there's new smartwatches from Samsung, Apple and a whole raft of Wear watches on the way before the end of year that could quickly kill that good feeling at Fitbit HQ. Keep the strong hardware coming and the software too and we think there'll be more reasons to be cheerful for Fitbit. Recommendation? So, would you suggest getting the Versa, or will there be another model released in the next couple of months with the same new sleek and slim design as the Versa but with GPS or some other feature upgrade worth holding on for? I can't say whether there will be a new model, there's certainly enough time for that to happen. But the Versa is a good option right now. Is built-in GPS a big factor for you? I'm just guessing, but I think they'll give the Versa a year or so to catch hold and then release an update at the end of 2019 or early 2020. Fitbit needs to update the release cycle if they plan to keep up with the market, but the versa is worth getting now, and if you hold off to the holiday season I suspect it will be discounted for Black Friday.